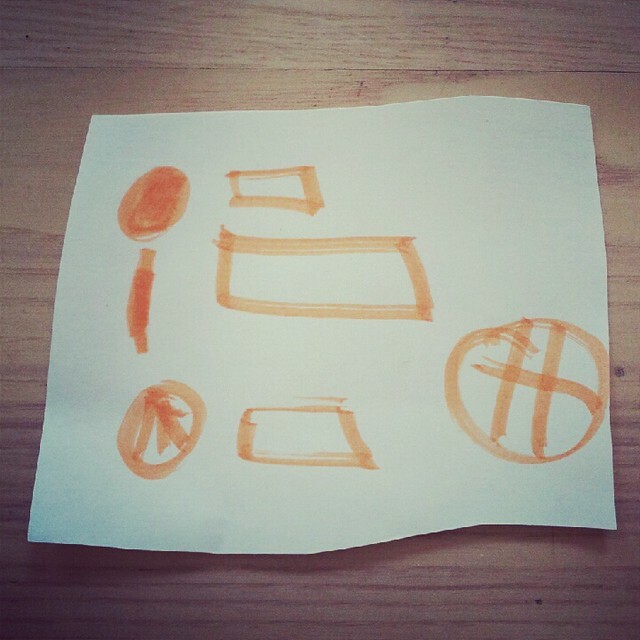 So, Lulu - aged 4 (the world's youngest urbanist) - says to me, "Daddy, what should I draw?" I said, "How about a cargo bike?" Here's her interpretation. How she regards our cargo bike and its role in our daily lives. Love it. Says it all. 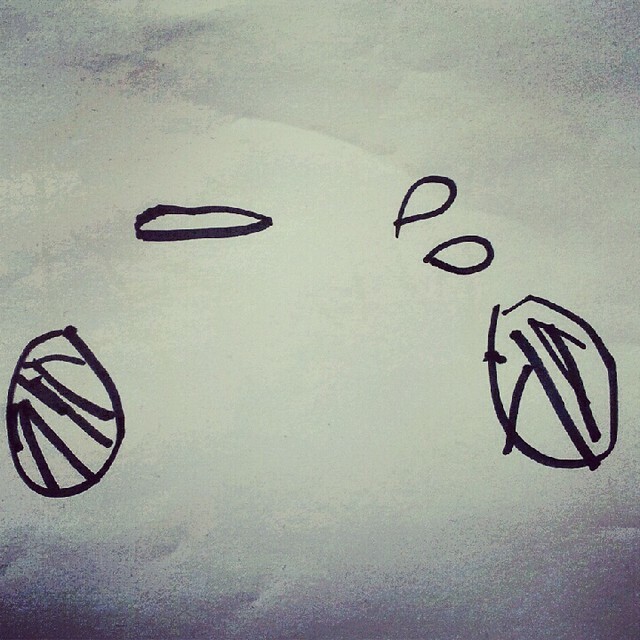 Here was her first interpretation of a bicycle. Danish design minimalism. Deconstructing a bicycle to its basic ingredients. Well... except for pedals. 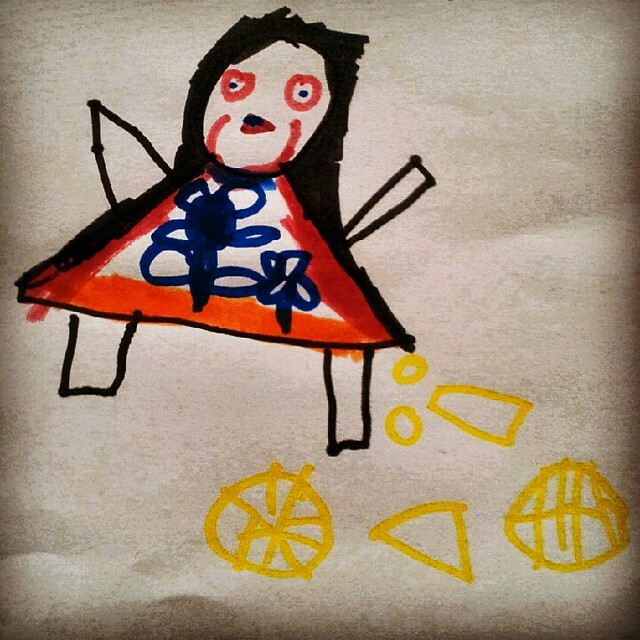 Here was her first interpretation of herself with her bicycle. 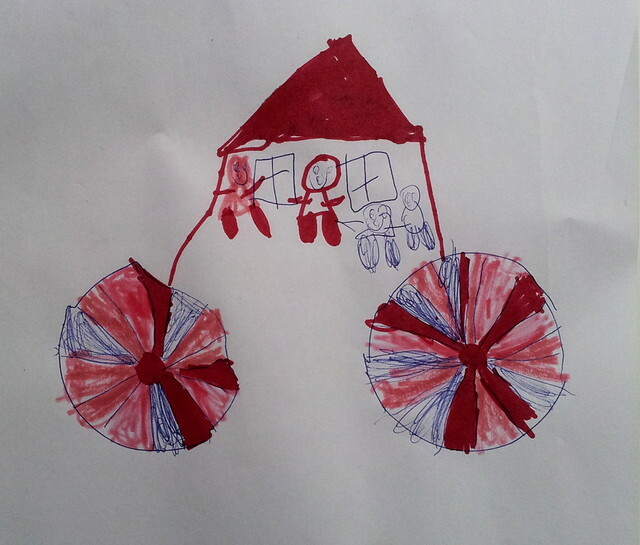 And this was her first interpretation of a cargo bike - using our Bullitt as inspiration.